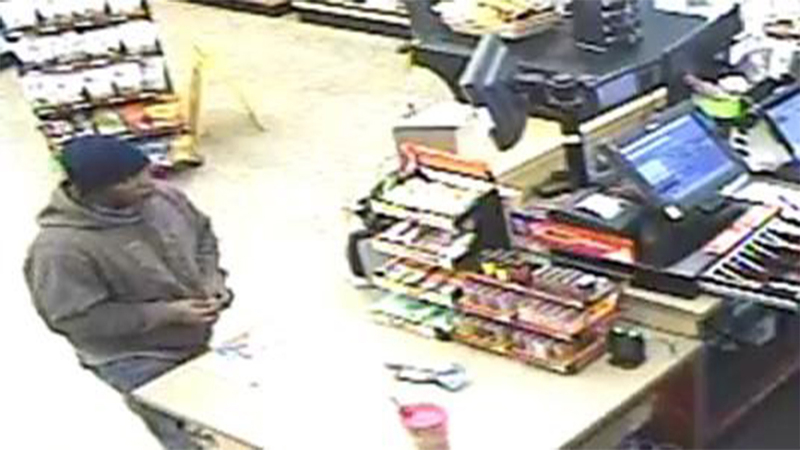 FAYETTEVILLE, North Carolina -- The Fayetteville Police Department said it's searching for the suspect responsible for an armed robbery at a Kangaroo convenience store early Saturday morning. Officers said they responded to the call at 2001 Skibo Road around 3 a.m. The suspect walked into the convenience store and grabbed a pack of crackers before going to the counter to assumingly make a purchase, according to police. They said the after the clerk opened the register, the suspect pulled out a knife and demanded that the clerk leave the cash register open. Police said the suspect stole money from the register along with packs of cigarettes and then ran out of the store. The suspect was described as a Black Male, 40 to 50 years of age, and 5'06 to 5'08 in height and had a scruffy beard. The suspect was described to have worn a brown hooded sweatshirt, light in color denim pants with a design on the back pockets, black shoes and a navy blue toboggan. Anyone with information regarding this investigation or the identity of the suspect is asked to contact the Fayetteville Police Department at (910) 703-9279 or Crimestoppers at (910) 483-8477.